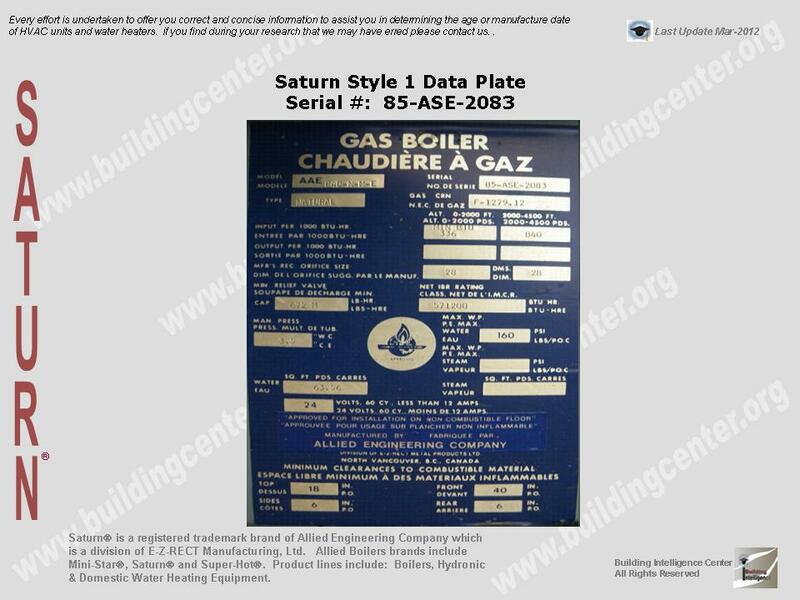 How to determine the date of production/manufacture or age of Saturn® HVAC Systems. 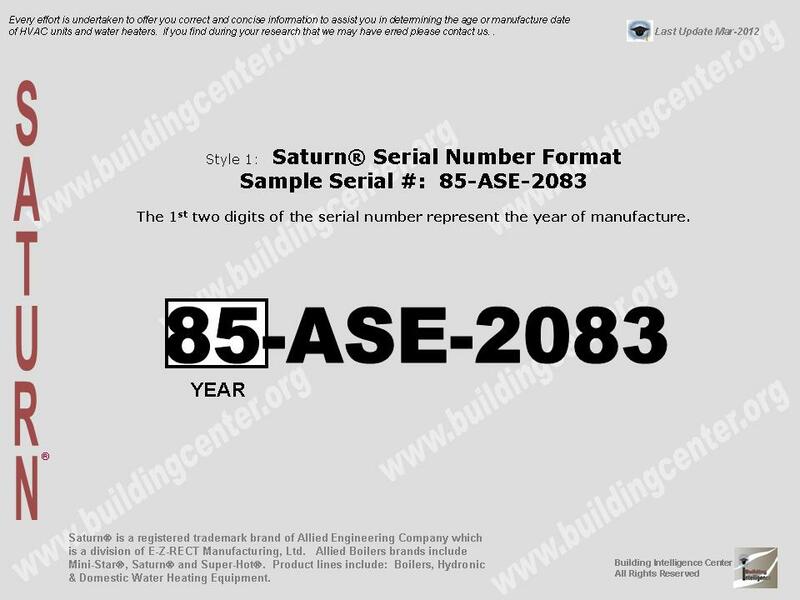 The date of production/manufacture or age of Saturn® HVAC equipment can be determined from the serial number located on the data plate. Manufacturer: Lennox Industries Inc., of Richardson, Texas or Advanced Distributor Products (ADP) LLC, of Grenada, Miss. Hazard: Some heaters were manufactured without a required flame rollout switch, which is a back-up device that shuts down the heater in the event of a heater failure. This poses a fire hazard. Description: This recall involves Lennox garage heaters with heating capacity, model number, and serial number listed below. The brand name “Lennox”, the model number and the serial number can be found on the nameplate located inside the control cabinet. Sold at: Lennox Industries dealers and distributors nationwide from July 2004 through April 2011 for between $2,700 and $4,200. Remedy: Consumers should stop using these recalled heaters immediately. Consumers should contact Lennox to schedule an inspection and, if necessary, repair of the garage heater.